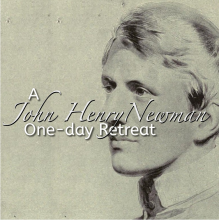 This one-day retreat offers an opportunity to engage prayerfully with John Henry Newman. The motto he chose when named a cardinal in 1879 was “Cor ad cor loquitur.” (Heart speaks to heart.) This is a day to allow the heart to rest and to hear, to be encouraged by the wisdom of Newman as we seek God. The day will consist of talks, time for reflection and the celebration of Mass. The retreat will be directed by Dermot Mansfield SJ, author of Heart Speaks to Heart: The Story of Blessed John Henry Newman (Veritas, 2010). This retreat will be attended by members of the Newman Society of Ireland. All are welcome to attend.